SINGAPORE, MAY 15, 2017 – RTW, a leading vendor of visual audio meters and monitoring devices for professional broadcast, production, post production and quality control, is set to highlight its TM3 and TM3-Primus series of products at this year’s BroadcastAsia (Stand 6D4-01). Also on display will be RTW’s brand new TM3 19-inch RackMount Solution and well-known TM7/TM9 TouchMonitors with upgraded firmware. 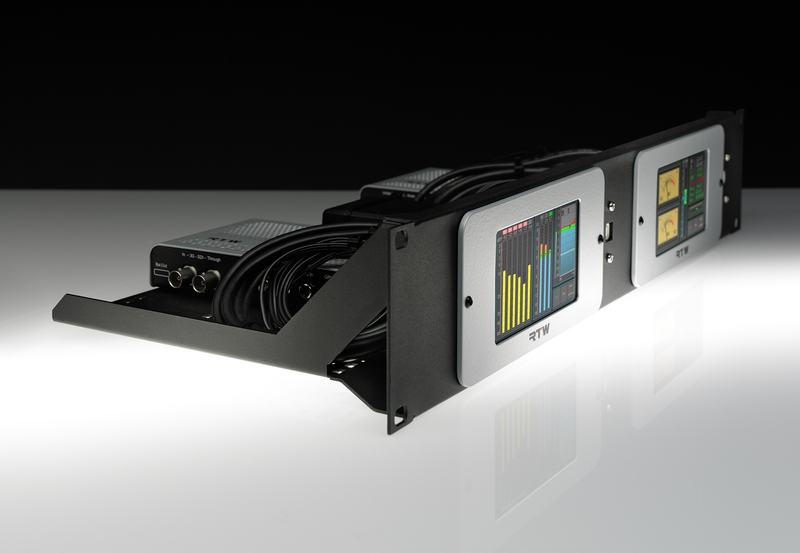 Also on display at BroadcastAsia will be the latest firmware version for RTW’s TM7/TM9 TouchMonitors. This firmware offers up to four parallel instances of the stereo vectorscope, allowing simultaneous monitoring of transmission streams. A 12th octave filter bank has been added to the RTA (Real Time Analyzer) feature set for an even more refined graduated frequency distribution analysis. A custom selected password feature has also been implemented to meet the demands of users who desire increased security against unauthorized adjustment changes. This updated firmware also supports four-channel operation of a TouchMonitor, even without the presence of the multichannel license. This allows attractive combinations in operation with RTW’s TMR7. In addition to the new features, adjustments have been made to adhere to the recent changes in the loudness standards around the world.